Life is a series of simple moments—moments that are made beautiful by the objects we use everyday. BOMSHBEE creates thoughtfully designed tableware that celebrates the everyday. Each encounter with our tableware is a memorable one, something you can treasure and enjoy with family and loved ones that matter the most. Our tableware are made with subtle purpose, making vessels that are truly built for timeless function. Never losing their simple and elegant style, they invite the possibilities of laughter, joy and happiness in its simplicity. 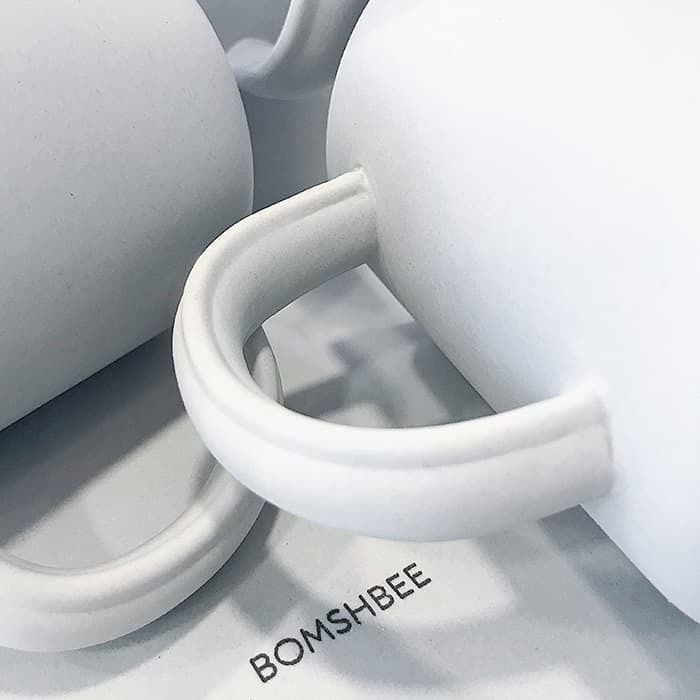 Inspired by and an ode to their childhood, BOMSHBEE is the passion project of three brothers who have a sincere interest in intelligent design, beautiful aesthetics, elegant form and exceptional function. In the spirit of finding connection and purpose through their tableware, BOMSHBEE is a heartfelt play on the brothers nicknames given to them by their mother. Here’s to appreciating life’s simple moments, the little matters. Here at BOMSHBEE, we are driven by the relentless pursuit of better. This is translated in our sincere intentions and refined execution that prioritize passion, authenticity and innovation. BOMSHBEE is about a seamless dialogue between design and creativity. Our design team is driven by a passion for thoughtfully designed tableware that are unique and intelligently functional. We take pride in our process and we dedicate our attention to form, colour, texture, materials and overall aesthetics. Transforming your house into a home, our designs are carefully brought to life by our expert team and manufacturing partners. It is important to us that our products are not only beautiful in design but are made with the best of the best. This is our standard that we stand by. Situated in Hong Kong, BOMSHBEE is able to work in close proximity with our manufacturing partners to ensure that quality and production consistently meet our standards and your expectations. From our conceptual design through to the packaging, our penchant for detail is reflected. All BOMSHBEE products are packaged in our thoughtfully designed signature gift boxes, making every BOMSHBEE order a perfectly giftable surprise for your family and friends. It is all in the little details. We are constantly working on perfecting our designs. We believe that BOMSHBEE is leading the charge in introducing the world to the innovative designs and creativity that Hong Kong has to offer. As all of our products are designed in Hong Kong, we are incredibly proud of our work and excited for the journey ahead.